Spice Mobility today launched a dual-sim phablet, named Smart Flo Pace 2 Mi-502. Smart Flo Pace 2 boasts of a 9.6mm slim profile and comes with a free leather cover worth Rs 500 and a screen guard. Priced at Rs 6,999, this device will take on Micromax Canvas Viva, which also features a 5-inch display and costs Rs 6,499. This phone is powered by Android 4.0 (Ice Cream Sandwich) and has screen resolution of 800x480p. 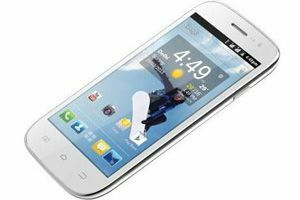 This phone is powered by a 1GHz dual-core CPU and offers 512MB RAM. On the back of this phone is a 5MP camera with LED flash, while a VGA snapped is usedin the front. The manufacturer has included 512MB onboard storage and offers up to 32GB microSD card support. Connectivity features of this phone include 2G, Wi-Fi, Bluetooth 4.0, and microUSB. Spice claims that the 2,100mAh battery of Smart Flo Pace 2 will offer talk time of five hours. The company has preloaded apps like Nimbuzz, WhatsApp and Hoopz in this smartphone. Commenting on the launch, TM Ramakrishnan, CEO - devices, Spice Mobility said, "With the launch of Smart Flo Pace 2, we seek to offer better & advanced features at a competitive pricing. This product positions itself as a premium budget phone with enhanced features and better than what competition is offering."